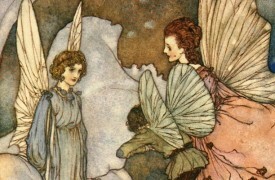 We love the traditional materials used for fairy wands, but who says you have to stick with convention? 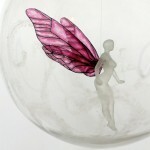 Creative artists have taken fairy flight with new approaches for wandmaking. 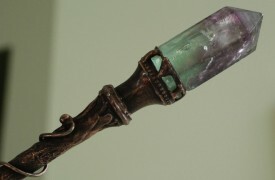 This Gorgeous Wish Keeper Flourite Magic Wand from Darlene of Queenie88 is great for both collecting and play. 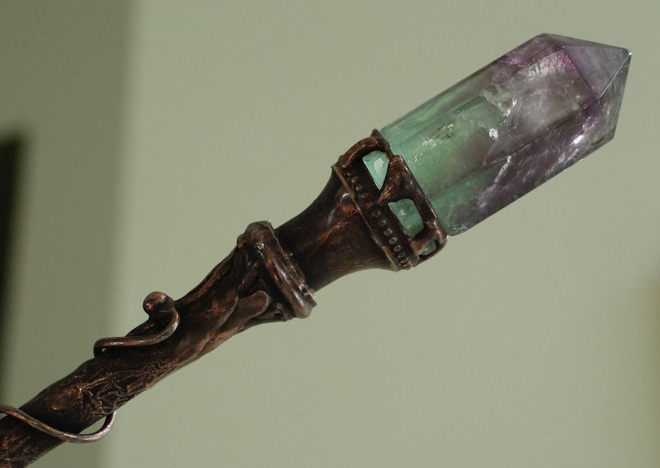 Fluorite, an isometric mineral known for its fluorescent quality, connotes its root etymology meaning “to flow”. 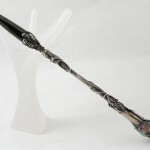 What could be better for directing positive energy inward and outward with this exquisite wand. 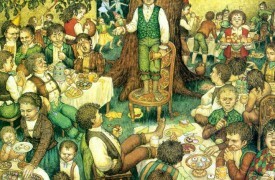 The artist added a special feature: when the acorn end (pictured below) is turned, it reveals a secret opening just large enough for a small scroll. 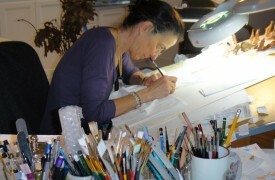 We love that! 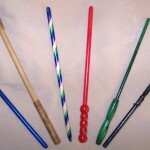 Contemporary materials chosen for wands can be as easy as paper and ordinary household items. 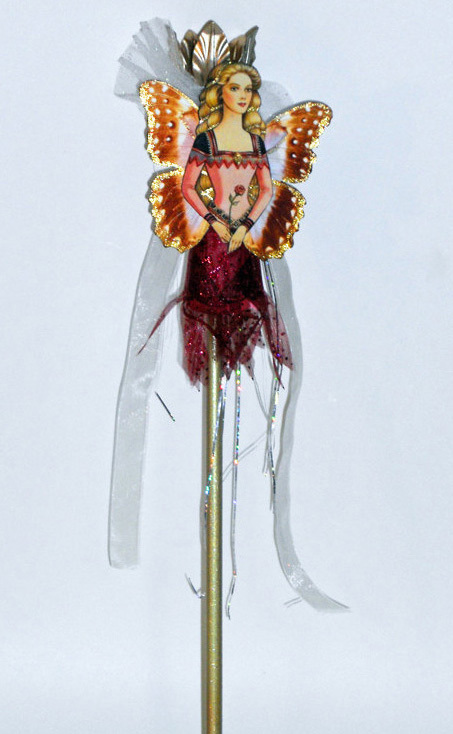 Probably not of interest to the collector, but definitely appropriate for festivals, parties, and play, this whimsical Paper Doll Ornament Fairy wand, (at right), from Dora Haymond of Avalon Steampunk. 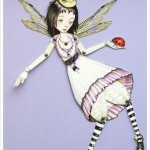 With ribbon and sparkle accents, the fairy can be removed from her wand (via her clothespin body) and pinned as an adornment or tree ornament. 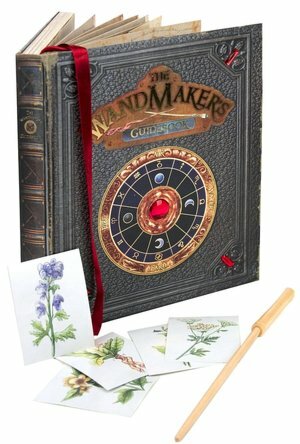 Check out The Wandmaker’s Guidebook from Barnes & Noble, which includes a kit for making your own wand! 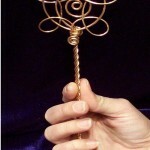 Follow this YouTube Fairy Wand How-To tutorial by Lauren Brewer of LaurensCreative.com for making your own wand!